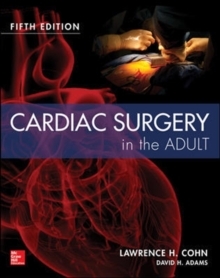 The most authoritative, comprehensive, and current cardiac surgery resource - completely updated and in full colorA Doody's Core Title for 2017!DVD with surgical video clips"...the must-have resource for adult cardiac surgeons around the world. Dr. Cohn...has done a masterful job of keeping this text at the forefront of surgical thought and technique." --Thomas B.
Ferguson, MD, Washington University School of Medicine Emeritus (from the foreword)In Cardiac Surgery in the Adult, Fourth Edition, the world's foremost cardiovascular surgeons and physicians deliver thorough, up-to-date coverage of operative strategy, decision making, technique, and pre- and post-operative management for treating the adult cardiac patient. Editor Lawrence H. Cohn takes you through the optimal treatment of congenital, acquired, infectious, and traumatic diseases of the heart and great vessels. 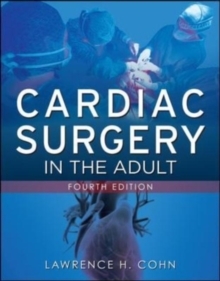 The book begins with a history of cardiac surgery and basic cardiac science, then moves into all types of cardiac surgery, providing both practicing surgeons and residents insight into the very latest surgical protocols. 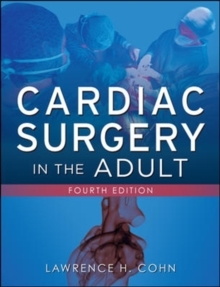 Presented in full color for the first time, the fourth edition of Cardiac Surgery in the Adult is aligned with up-to-the-minute developments in the field including recent surgical trends in minimally invasive cardiac surgery.